I’m a cosmetic dentist, family man, and musician in Oak Lawn, IL. makes a trip to the dentist an unforgettable experience. ‘‘Your smile has an enormous effect on your overall health, level of self-confidence, and overall success. Taking good care of your smile is my top priority! Received dental degree from University of Illinois at Chicago’s College of Dentistry in 2006. After working with Dr. Durkin and his staff for several years, Dr. Fitz purchased the practice from Dr. Durkin in late 2012. 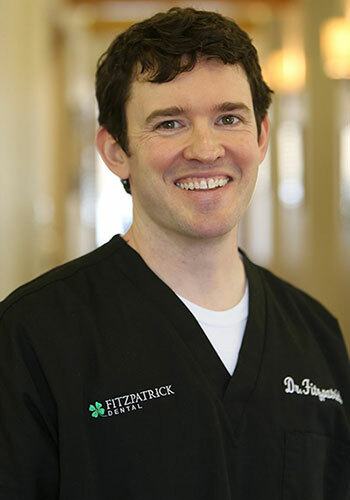 Embodying the essence of genuine care and superior service, Dr. Fitz is honored to continue the exceptional family care that Dr. Durkin and his staff have provided throughout the years. Dedicated to the most advanced dental treatment and technology. Incorporating proven systems that make your appointments better, faster, and safer. Dr. Fitzpatrick is one of only a handful of dentists in the entire Chicago area using a dental surgical microscope for all procedures. This view of technology makes our dental procedures more conservative and less expensive for our dental family. His #1 priority in life is the loving care of his wife, Meaghan, and their three beautiful young daughters (Reilly, Delaney, and Molly). 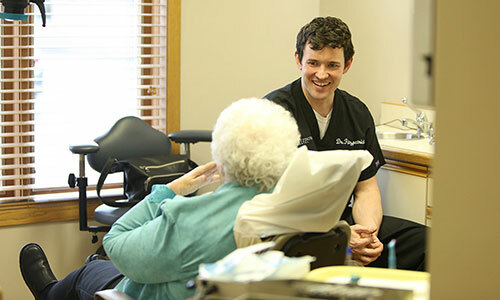 Having grown up in the Morgan Park/Beverly neighborhood, he truly views his Oak Lawn patients as family. Hear what the doc has to say. How Can Dr. Fitz Help You? Experience what everyone in Oak Lawn is smiling about! Meet the experts behind the best smiles in town.